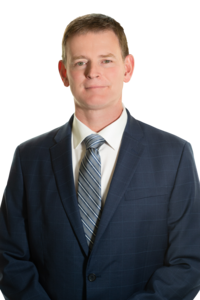 As a Chartered Financial Consultant® and Chartered Life Underwriter®, Rob brings clarity, insight, and partnership to his client’s financial well-being. Rob also holds a Master of Science degree in personal financial planning from the College for Financial Planning. Rob proudly served his country and is a retired U.S. Coast Guard officer with over twenty-five years of active duty. Rob is a charter member of the Baldwin County Military Officers Association of America (MOAA) as well as a member of the Rotary Club of Point Clear, AL. Rob and his wife Michelle reside in Fairhope, AL. They have three grown children: Katie, Ben, and Sarah. Rob enjoys fishing, camping, hunting, and spending time with their two rescue dogs, Louie and Zoie.